The Chicago Intellectual Property Alliance held its second annual Mentorship Program Luncheon on January 27, 2011 at Loyola University School of Law. The luncheon continues CIPA’s newest program, which is designed to provide mentorship to Chicago’s next generation of IP attorneys. The program matches second-year law students with practicing IP lawyers. 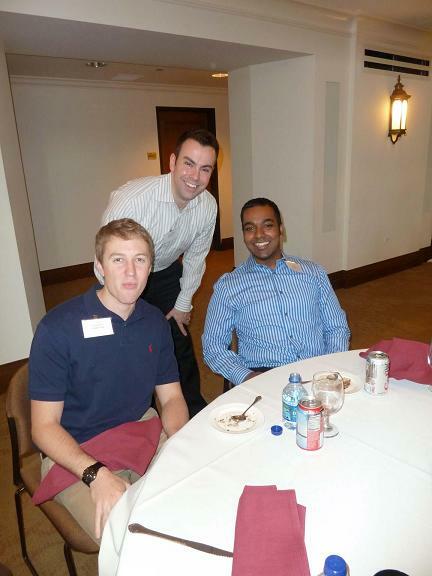 At the luncheon, mentors and mentees were able to meet each other, as well as other participants in the program. The mentorship program was created by CIPA’s Law School Committee, whose members include Meggan Duffy, Cynthia Ho, Barbara Bressler, Richard Gruner, Olufunmilayo Arewa, and Mickie Voges-Piatt. If you are interested in volunteering as a mentor, please contact Meggan Duffy at mfd@marshallip.com.